The Omaha game is very similar to the Texas Hold’em. The hands at Omaha poker will be played in a similar manner. The difference is that instead of the 2 cards facing down there will be 4 of them, all this followed by a betting round. After the 3 card flop, you will see another betting round. After this you will see the turn card with yet another betting round. And in the end there will be the 5thriver community card, which is once again followed by the final betting round. Once you find yourself at the showdown, the 5 cards which will create your hand consist of 2 of the 4 cards you have in your hand plus any 3 of the community cards. All the cards are going to be shown to the other players and the highest ranking hand is going to take the pot. All the other basic rules of Texas Hold’em can be applied to Omaha Poker, except for the 2 pocket cards; this requirement means that a player can’t play the board just like it happens at a Texas Hold’em game. This means that you will have to use only 3 community cards and 2 from the hand you have. Even if you find on the board 5 spades you will have to use 2 of your pocket cards, so you will need an additional 2 spades in your hand in order to have a flush. Just like Texas Hold’em the Omaha is available in the High / Low variation. At the Omaha Hi/Lo the players will have to use 2 different cards from their hand, 2 to make the high hand and 2 different cards in order to make the low hand. The same rule applies to the community cards. The players can also use the same 3 community cards / 2 pocket cards combination in order to make the both high and the low hands. The low hands are going to range from the best possible low hand: 1, 2, 3, 4, 5 to the words possible low hand: 4, 5, 6, 7, 8. One of the best ways to read the hands fast and know what decision to take is to read the hands as numbers. This way you are going to know faster than ever before if you have a good or bad hand. So in order to do this you must sort the cards from the highest card to the left and the lowest to the right and after that whichever number is the lowest it wins. For example 65432 beats 76543. Thanks to this trick you will be reading out your hands in a matter of seconds, giving you more time to concentrate on the game and on watching your opponents. If you are going to play the Omaha Poker game in a real land based poker room, you must be aware of all the rules that are there. Another rule that is usually found at most poker rooms is the “Cards Speak” rule. 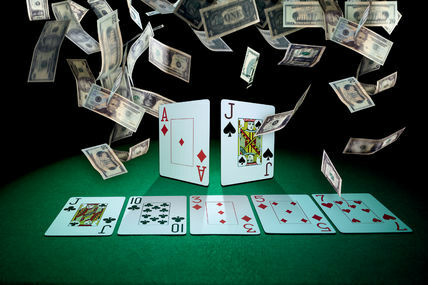 This way in case a player is mistakenly saying that he has a certain ranking hand, but he is wrong, no matter what he is saying, the dealer will have to read his cards and give the pot to the correct person. Next How to use your smartphone for sports betting and read latest predictions?